Sheep being injured and killed in dog attacks causes devastation for farmers, said one who has lost 18 animals. Ben Jones from Hensol, Vale of Glamorgan, said the attacks took place between July and October. Now a report by the All Party Parliamentary Group on Animal Welfare wants all UK police forces to record incidents of livestock attacks. North Wales Police set up a rural crime team in 2013 and has so far recorded 449 attacks. "We went into the field to do normal checks and saw dead and injured sheep everywhere," said Mr Jones following the first incident. "There was blood everywhere. The vet came out and said a dog had been in... it had left teeth marks. "It's devastating... Worse than finding the ones that are killed are the ones that are really badly injured and we have to get the vet out to put them down. "We try and give them the best life we can and then you have a dog coming in and ripping them apart." Dave Allen, a member of North Wales Police's rural crime team said the scale of the problem elsewhere is hard to measure due to a lack of data. He said his team could be called out to two or three attacks by dogs on sheep, cattle, poultry or horses in a typical week. Speaking ahead of a seminar at the Royal Welsh Agricultural Society's Winter Fair in Llanelwedd, Powys, he said the impact can be "horrendous", with animals killed and injured, dogs shot, their owners distraught and farmers' livelihoods put at risk. "The Home Office currently don't require police forces to record those figures, so we've done it off our own back as we quickly recognised that there's an issue out there and we need to record it," he added. "I can become the victim of a £10 theft and the police will record that and send that information to the Home Office so we can compare figures between forces like for like. "But if I have a £5,000 livestock attack, even though my livelihood could be destroyed, the government don't have those figures." Farmer Derek Jones from Tremeirchion, Denbighshire, returned home from selling stock at a sheep market earlier this month to find a dog amongst his ewe lambs. It had escaped from a house nearby. "There was wool everywhere" he said. "Three ewe lambs had to be put down by the vets, and a number of other sheep had obviously been ruffled up by the dog too." The dog's owner has agreed to pay compensation, and the animal has been put down. "I don't think the public take this seriously enough," Mr Jones said. "I've noticed people will unleash their dogs and let them run free on my fields - even at lambing time - it's absolutely crazy." Four other forces, backed by the National Police Chiefs Council, have joined North Wales Police in carrying out a trial retrospective recording system over a four-year period, going back to 2013. Their full report is due to be published in December but interim data suggests there were 1,669 recorded incidents of livestock worrying between 2013 and 2017, across Devon and Cornwall, Hertfordshire, North Yorkshire, Sussex and north Wales. From that, 1,866 livestock were killed, 1,614 injured and 92 dogs shot. But the findings are not considered to be a true reflection of the extent of the problem, with incidents of livestock worrying thought to be vastly under-reported. The All Party Parliamentary Group on Animal Welfare report, published this month, made a number of recommendations, including ensuring "all incidents, crimes and outcomes are recorded and shared nationally". 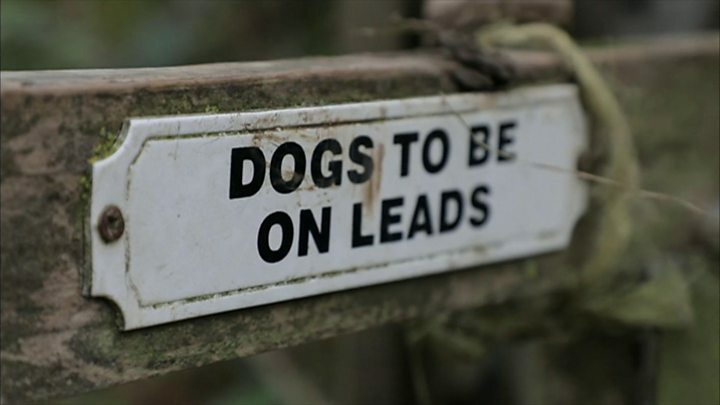 The MPs also argued more needs to be done to educate dog owners, and called on farmers and local authorities to take measures to prevent attacks. The UK government said it was considering the findings of the report.